They say that what happens in Vegas stays in Vegas, but that’s not really the case. If you are convicted of DUI or if your driver’s is suspended in Las Vegas, Orange County, or anywhere else in 45 of the 50 states, another 44 states will know about it. That’s because 45 states are part of the Driver License Compact (DLC), an agreement to exchange information regarding DUIs, other traffic violations, and driver’s license suspensions. If you don’t reside in California but you’re charged with DUI or another serious traffic violation here, your home state will be notified and will treat the offense as if you had committed it there. In other words, if you’re visiting Orange County from Ohio, and California convicts you of DWI and suspends your driver’s license, your license will also be suspended in Ohio. The wise thing to do, if you’re accused of DUI in Orange County, is to discuss your case immediately with an experienced Orange County DUI defense attorney. The DLC was initiated in 1960. Only Georgia, Wisconsin, Massachusetts, Michigan, and Tennessee are not participants. Another tool the states use to keep other states informed is the National Driver Register (NDR). 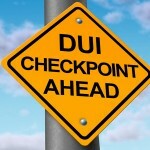 State agencies can enter the names of drivers with suspended or revoked licenses and drivers convicted of DWI into the NDR’s computerized database, and the information is accessible to agencies in all 50 states. For example, if you’ve been reported to the NDR by one state and try to obtain a driver’s license in another, your request for a license may be rejected. Don’t let a DUI charge threaten your freedom or your future. 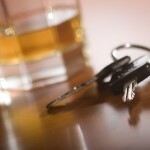 If you want to drive problem-free in every state, you must avoid a DWI conviction. If you are charged with DWI in southern California, exercise your right to remain silent, insist on your right to an attorney, and contact an experienced Orange County DUI defense attorney as quickly as possible.